Hello, I'm Gregor and I put this site together. At first, you'll find an overview of recommended flea collars for cats, followed by a public poll and a general buying guide on flea collars for cat. Further down on this page, we do link to other well-written articles and reviews about flea collars for cats. At last, you'll be able to weight in your own opinion in the comments section. If you also want to vote on the best flea collars for cat, click here to view the poll. Fleas can be a huge problem if you have a cat. 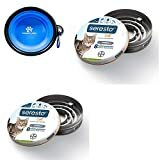 They can quickly spread from your cat to your home. It's better to prevent an infestation of fleas than it is to treat it. This is where a cat flea collar comes in handy. There are dozens of different brands and types available. This can make it overwhelming to choose a quality flea collar. We put together a buyer's guide that'll outline the important things to watch for with your new cat flea collar. You want to know about the different types of flea collars before you decide on other criteria. This can help you narrow your initial choices down, so it's not so overwhelming. A flea collar is used to protect your cat from a flea infestation. They're usually thin strips of a soft plastic material that wraps around your cat's neck just like a traditional collar. It delivers pesticides through contact with your cat's fur and skin. In turn, these pesticides work to kill the fleas and keep them away. Cat flea collars come in three broad categories. Each type works well to prevent and control flea infestations. This type of collar emits a constant high-frequency sound wave. These sounds waves are too high for your cat to hear. However, fleas can hear them. The sound disorients them and makes them want to avoid the source of the sound. They'll move off of or away from your cat in an attempt to get away from the noise. The chemical-based cat flea collar emits microscopic amounts of a noxious gas into the air. These chemicals linger around your cat. The fleas that are present on your cat die when they inhale these chemicals. However, it's concentrated. So, only fleas in and directly around your cat's neck region will be affected. The final type of flea collar is a topical flea collar. This type of collar has a residue on the outside of the collar. This powered substance rubs off on your cat's fur as they go about their day. It sinks into the flea's level close to their skin. The fleas die when they come in contact with the residue. Depending on the type of collar, they'll have different effectiveness levels. Some collars can start working in as little as two hours. Other collars can take up to six hours after the initial application. Generally, they kill up to 90 percent of the fleas that are present by the end of the collar's life. Additionally, a single collar can last up to eight months. Easy Application: Generally, flea collars are very easy to apply. It's as easy as it would be if you were putting an ordinary collar on your cat. You can also put a flea collar on your cat with a regular collar. Longer Protection: Certain flea killing products only last for a few weeks or up to three months. Flea collars can provide protection for your cat for up to eight months on a single collar. This is usually more than enough to protect your cat during the warmer months when fleas are out. Cost-Effective: Some topical flea remedies can cost over $50 for a three-month supply. A flea collar is generally a less expensive option that lasts for months. It works out to between $20 and $30 cheaper to buy a flea collar than to buy a topical flea protection. Flexible Use: You can use a flea collar on your cat with other flea prevention products without any side effects. It could be a second line of defense. The collar could also help cover any gaps that the other flea treatment or prevention may have. Choosing a flea collar for your cat can be a daunting task. This is especially true for first-time cat owners. However, there are several general things you want to consider and watch out for. You want to be able to identify all of the active ingredients on your cat flea collar's label. If you're not sure what something is, go to the manufacturer's website. They should list all of the active ingredients along with simple explanations of what they are and what they do. It should give specific ingredient names as well instead of broad terms. There should be several possible adjustments for the flea collar possible. You want to be able to get a snug fit, so the collar doesn't shift around or fall off when your cat moves around. If you can't find one that has several size options, pick one that easily lets you adjust it. 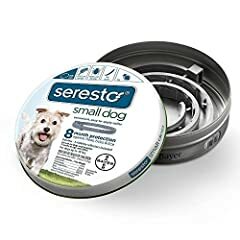 There are flea tick collars for dogs and flea tick collars for cats. 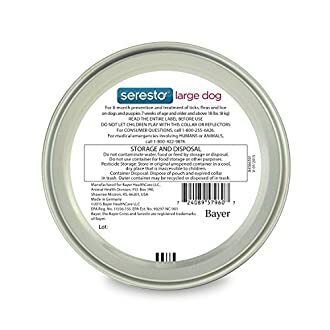 What is safe for a dog may not be safe for a cat. So, make sure that your collar is specially designed for a feline. If you're not sure about your collar's formula, don't be afraid to consult with your local veterinarian. Your flea collar should stand up to wear and tear. You want it durable enough so that your cat can't shred it or get it in their mouths. The flea repellent may not react well with your cat's digestive tract. You want a flexible flea collar. Also, make sure to avoid collars that are brittle. At the very least, you want your flea collar to last through the warmer months of the year because this is when fleas are active. Some flea collars provide protection for two to four months. Other flea collars can work for up to eight months with a single collar. You might have to shop around to find one that lasts a long time. All of the ingredients in and on your cat flea collar should be safe for them. They'll most likely end up swallowing some of it when they groom themselves. You don't want them to have a negative reaction because you didn't pay attention to the ingredient list. If you don't know what something is, don't be afraid to ask about it. Your cat may not spend a lot of time in the water. However, they may get wet eventually. Make sure that your flea collar has a waterproof layer. This can help to extend your flea collar's effectiveness for several months. Additionally, it shouldn't leave a greasy residue behind for your cat to ingest. New: Our editorial list of additional articles. We decided to gather informartion all around the internet and present you a list of helpful, external links to interesting reads about the best flea collars for cats and their reviews and guides. You're not convinced by the previous writings about flea collars for cats? Of course you can just choose by visual impression, that's why we present you all our chosen products at a single glance. A click on any image is enough to open an external link to the best offer we could find. 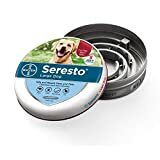 Today - Seresto Flea Collar Warning! 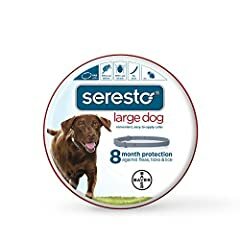 SERESTO FLEA COLLAR WARNING! 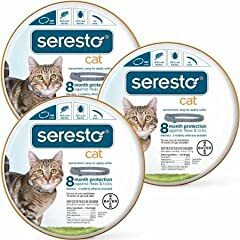 Seresto Flea Collar put my cat in a coma. Not totally, but if we had left it on him, I don't know if he would be here today. Finally, we want to present you our rating criteria for our flea collars for cat comparison, so you can better understand and comprehend our recommendations and the rating process itself. Furthermore, we still ask you to keep your eyes open for short term deals in order to make some great bargains with flea collars for cat in 2019. Published by G. Krambs on StrawPoll.com (last update on 2019-04-18 08:53:41). 10 of 17 readers found this article helpful.